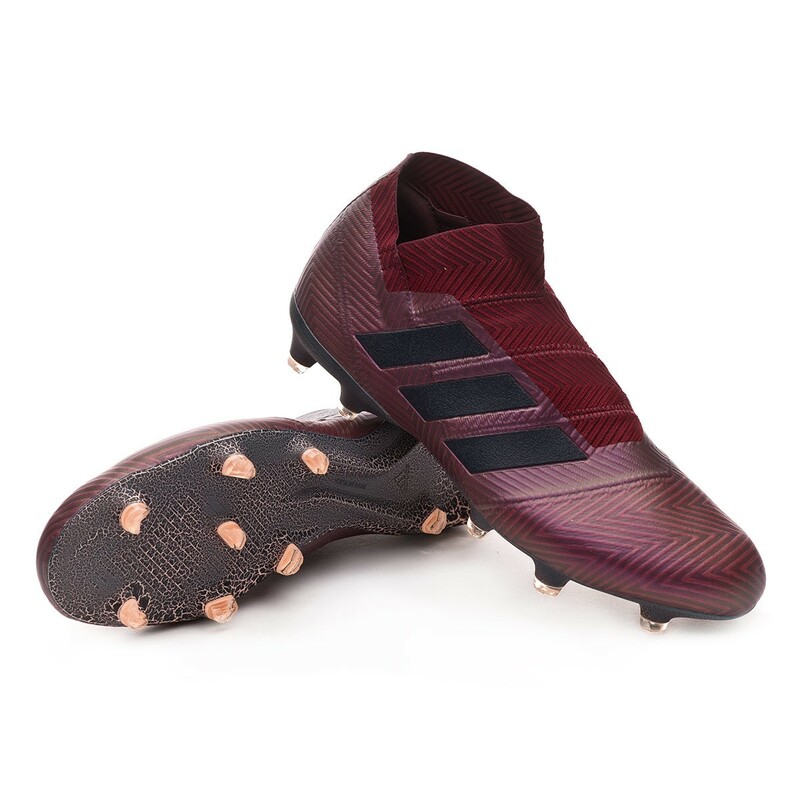 adidas Nemeziz 18 + Agility football boots for adults. Knit boots for natural grass pitches. Top-tier boots for attack players. The upper of the new generation of adidas Nemeziz keeps the Agilitybandage technology that wraps the foot arch to achieve a total lockdown. 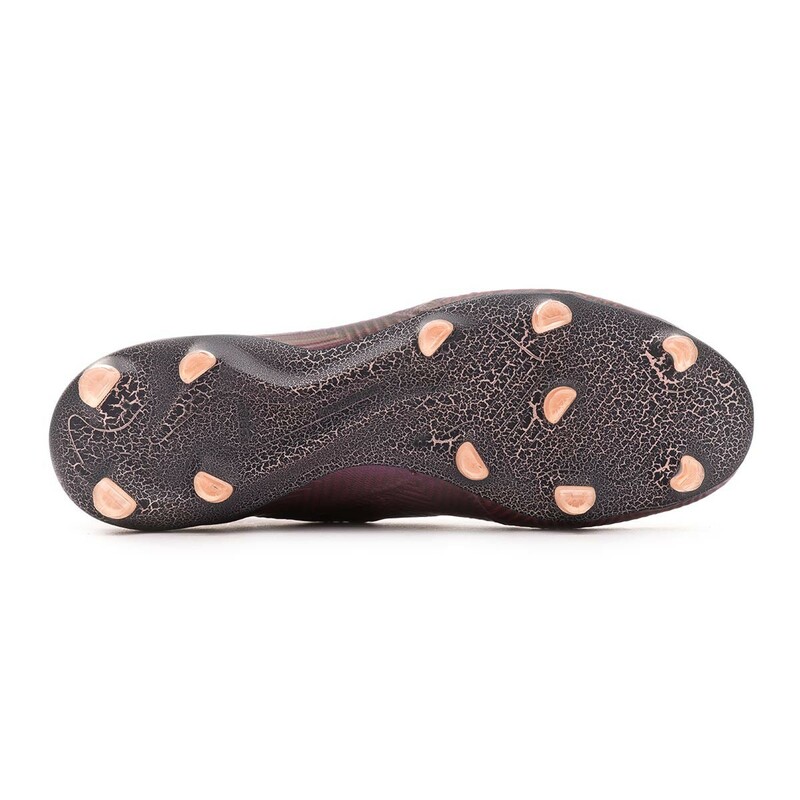 As always, everything is covered by an ultra-thin synthetic lining that protects and waterproofs the boot so it doesn't absorb any water and no unwelcome slips are produced in contact with the ball. 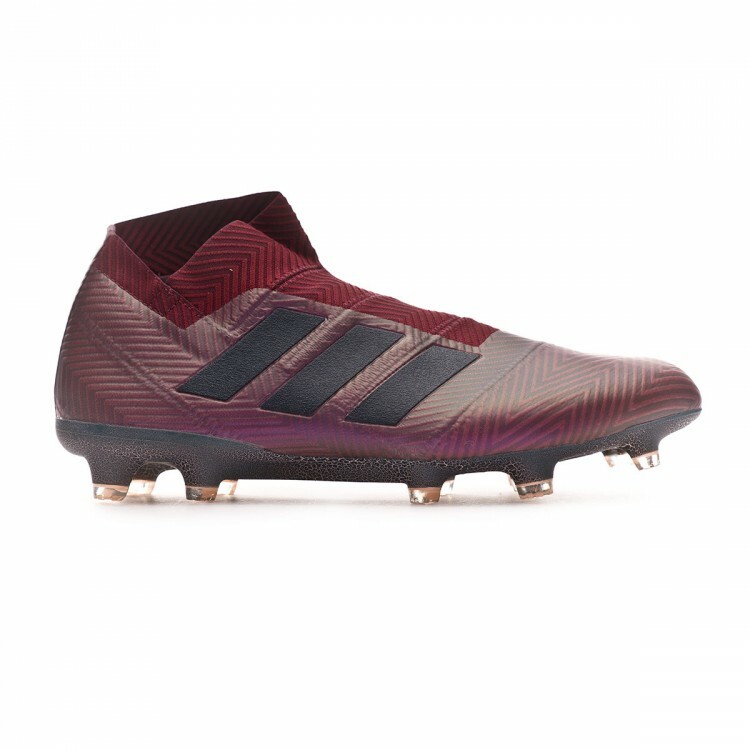 adidas has decided to elevate the sock of the Nemeziz in the inner lateral of the boot to achieve a greater fit sensation and besides prevents any possible blisters in the Achilles tendon. The inner heel counter and the anti-sliding insole are very important elements in a laceless boot because they lock the foot inside the boot and prevent it from moving or sliding. 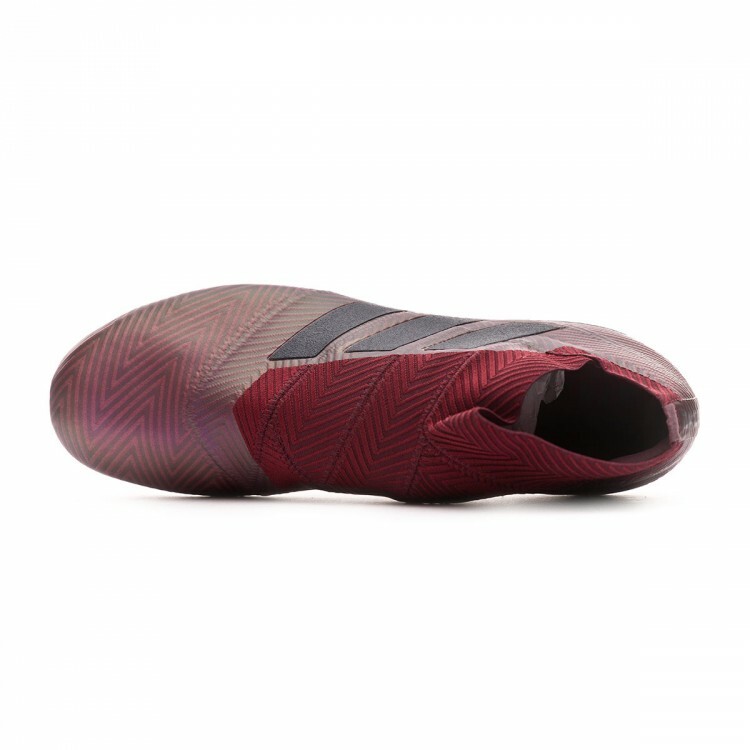 The ultra-thin sole with TORSIONFRAME and TORSIONRIBS technology is kept to offer a higher energy return in each step. Over it there is a bridge stabilizer in the midfoot and a distribution of semi-conical studs, very similar to those of the adidas X's SprintFrame sole. This stud shape favours more fluid spins and the cuts are made to gain a more aggressive traction. 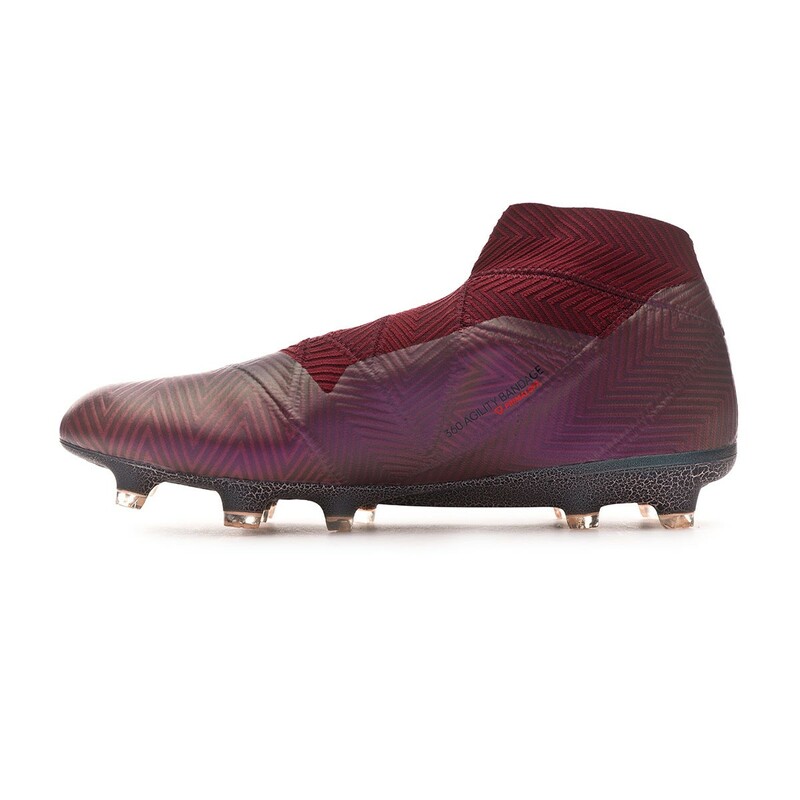 Maximum-level players looking for a top-tier boot to provide a pleasant compression and a total lockdown. For players seeking to stregthen their overrunning and agility skills on the playfield. Suitable for natural and 3G artificial grass pitches.